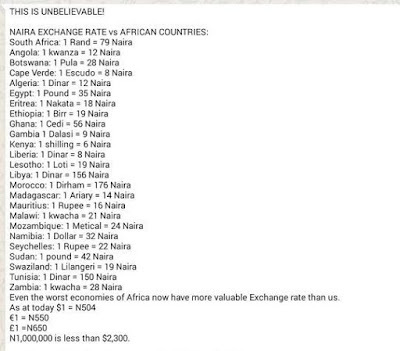 A dollar is now 500 Naira,but here's how other African Currencies compare to the Naira! This is like really sad! The Giant of Africa has definitely fallen!